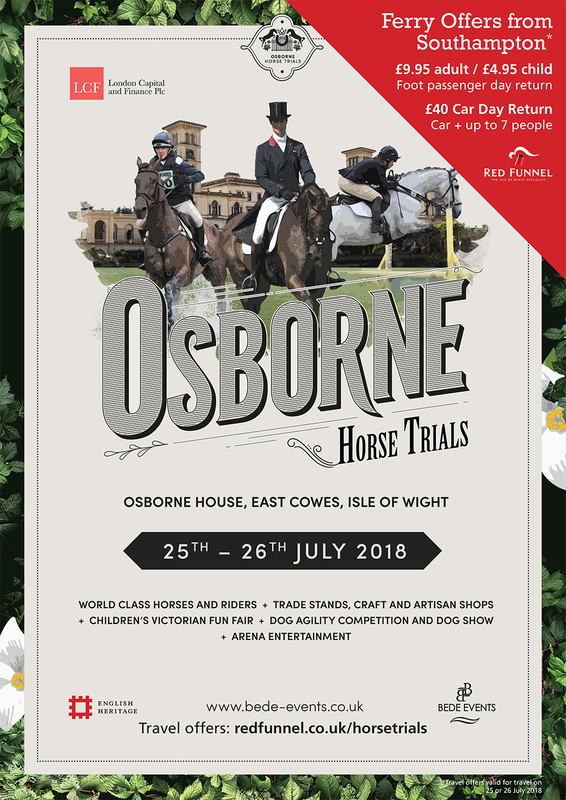 The London Capital and Finance Osborne Horse Trials is an exciting and ground breaking eventing format to be held at Osborne House from 25-26 July 2018. Osborne is within minutes of Red Funnel's ferry terminal at East Cowes which is served by direct passenger and vehicle ferry servics from Southampton. 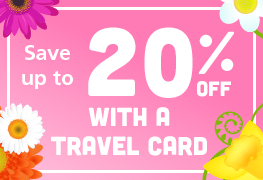 Check out our special travel offers below. The organisers of the London Capital & Finance Osborne Horse Trials hope to attract a new audience to the sport and to the Isle of Wight with this easy to follow two day eventing format. Horses will perform dressage and show jumping on the House lawns, before setting out across the estate parkland. Each phase will finish before the next commences, enabling spectators to see 70% of the action from one spot. Both days will feature two classes at open intermediate level with a Grand Prix class and three further categories tailored to either top level or less experienced horses. 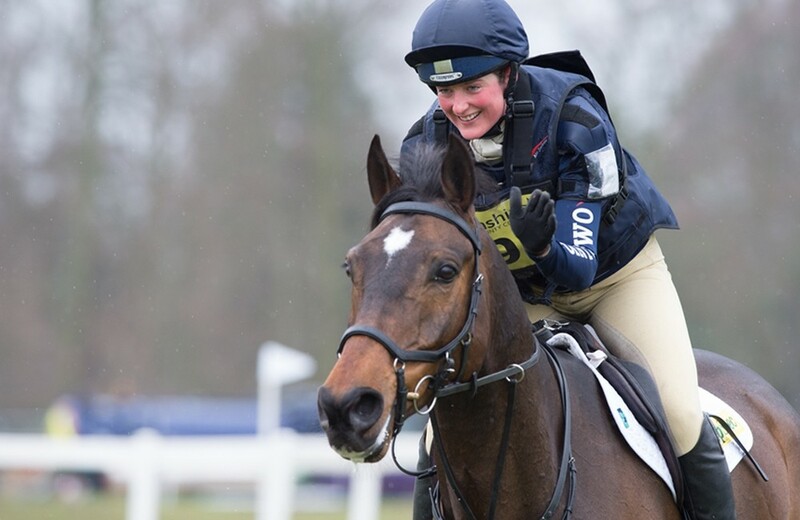 The London Capital & Finance Osborne Horse Trials will run to British Eventing (BE) standards, however with a thrilling new short format, it will have some unique competition rules including a bespoke dressage test and cross country layout. It will be open to BE members, but as a special event it will not carry BE Points or MER qualifications. Osborne will host a fantastic line-up of shops during the Horse Trials, with retailers coming from far and wide to showcase their products. 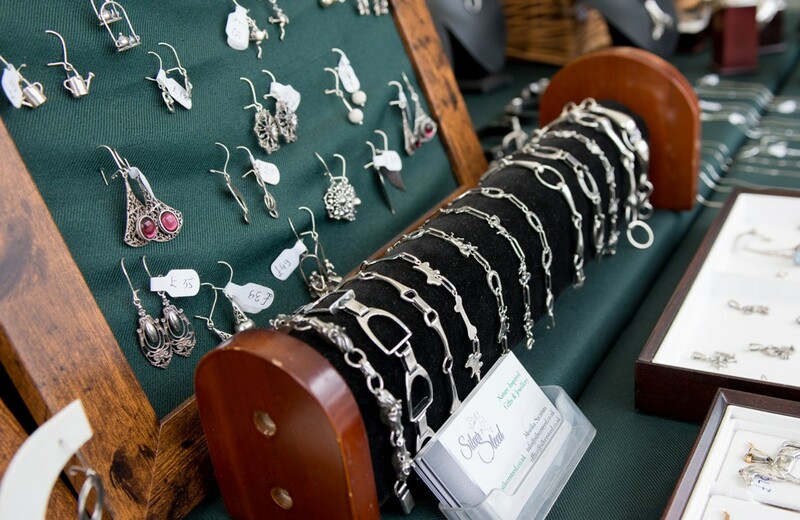 A number of outlets will surround the main arena on the Durbar Lawn, with everything from clothing to homeware to craft products and much, much more on offer. Whether you’re looking to commemorate your time on the island with a souvenir, or pick up the latest must-have form your favourite brand - there’s plenty on offer at Osborne! 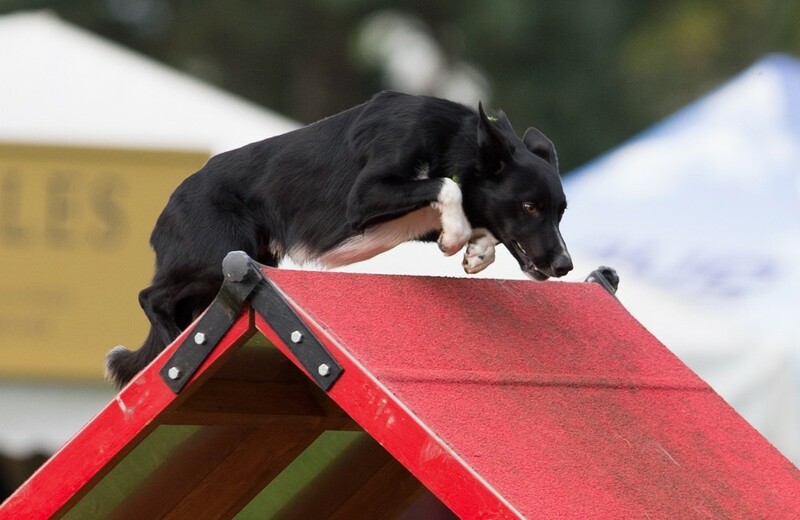 Dogs are more than welcome to join in the fun at London Capital & Finance Osborne Horse Trials, and your furry friend can even have a shot at victory with the have-a-go dog agility! The course features jumps and gates for participating pooches to work their way around, and is always a crowd-favourite at events. As well as the spectator presentations, there will also be expert handlers on hand to provide excellent professional shows throughout the event. Keep the kids entertained all day in the Victorian Fun Fair. Situated in the gardens of Osborne House, the Children’s Fun Park is home to a multitude of Victorian games and rides such as a Chair-O-Plane, Swing Boats, Hook-A-Duck and a Shooting Saloon. The games and amusements appeal to all ages and can be enjoyed for hours on end by youngsters. 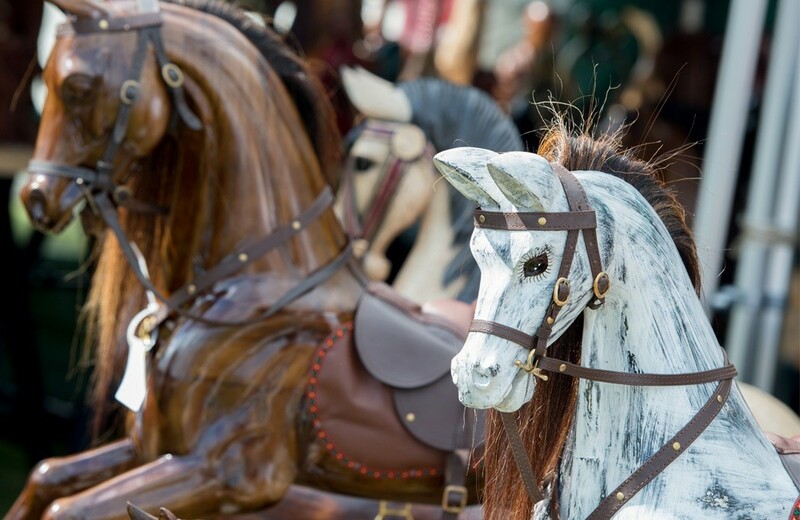 Step back in time for an afternoon and experience a traditional Victorian Fun Fair at London Capital & Finance Osborne Horse Trials this July. The main arena at Osborne, situated on the picturesque Durbar Lawn, will host a number of intense and incredibly exciting arena activities on both Wednesday and Thursday afternoon. The jam-packed schedule of arena events will feature an assortment of equestrian competitions and contests. 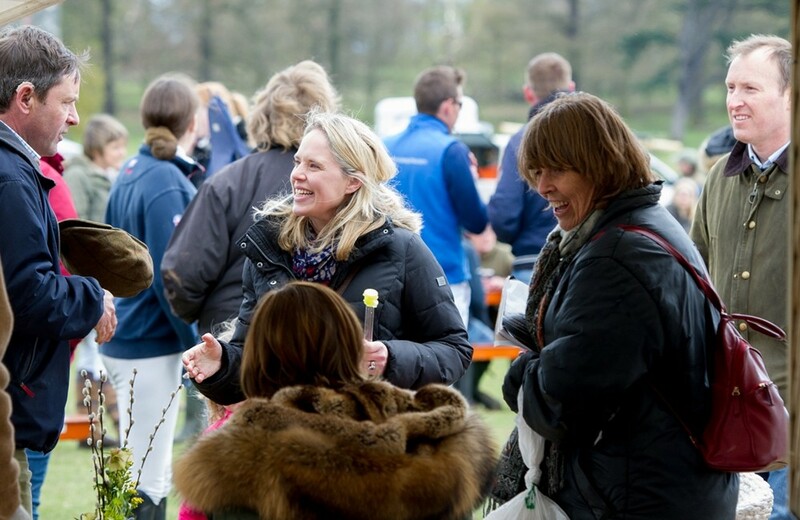 Visitors will have an extensive choice of bars & food to choose from when they visit London Capital & Finance Osborne Horse Trials. The spotlight is on Isle of Wight manufacturers, who will be serving a range of regional produce and traditional food and beverages at the event. 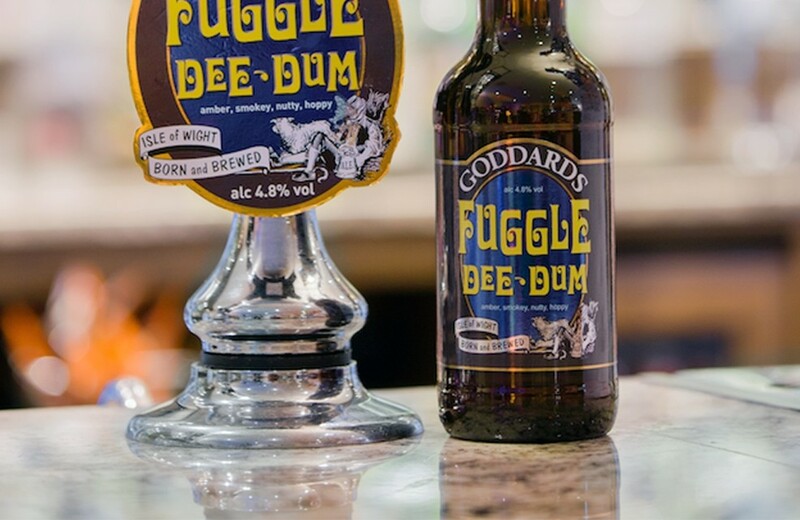 Be sure to enjoy a ‘Fuggle-Dee-Dum’ from the beer sponsor Goddards Brewery as you bask in the sunshine and take in the island’s glorious surroundings. As well as this there will be a Bubble Bar hosted by Slim Wine who is the official wine sponsor. They will be serving a host of different beverages from their wine and bubbles range. 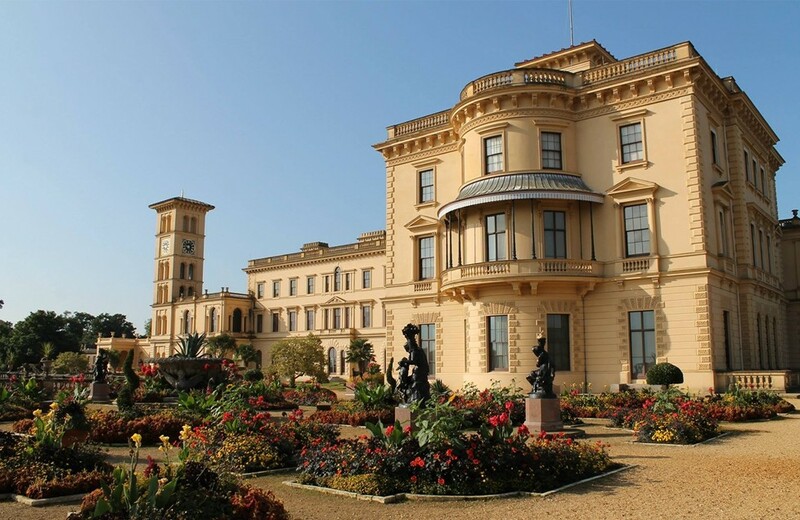 Osborne House, the royal residence of Queen Victoria, is one of the Isle of Wight’s biggest attractions for both tourists and island locals. 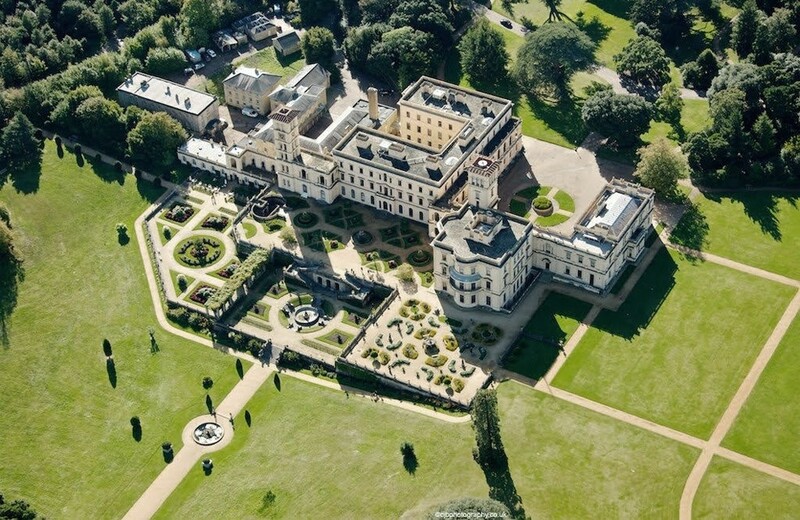 The house is steeped in history, and visitors of London Capital & Finance Osborne Horse Trials have an incredible opportunity to wander through the stunning interiors during the event this summer. 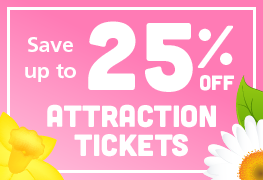 Whilst some rooms may be closed due to the event, the majority will be open for spectators to browse at their leisure. Complementing the stunning setting of the 'royal palace by the sea’ are magnificent grounds and gardens. With breathtaking views at every turn, the gardens provide the perfect spot to relax and discover seasonal colour throughout the year. The ornate terrace gardens - renovated in 2016-17 as part of a major conservation project - are a riot of tulips in spring, reflecting the height of Victorian fashion. The mild Mediterranean climate allows stunning bedding displays in the summer, which visitors can admire during July’s Horse Trials. Don’t forget to take time to wander around the Victorian walled garden to marvel at the delightful espaliered fruit trees and explore the wider parkland with its historic trees, many planted by Prince Albert himself. 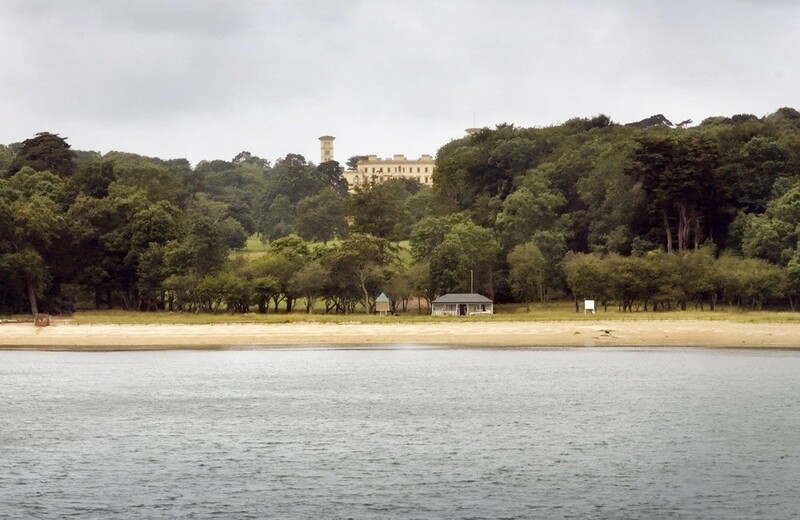 “We have quite a charming beach to ourselves” wrote Queen Victoria in 1845, and it was here at Osborne Beach that her majesty regularly bathed, and where her children learnt to swim. Enjoy the magnificent views out to sea from Queen Victoria’s alcove, and pop inside her bathing machine to see where she got undressed. Why not take to the water yourself and paddle or swim from the sandy and shingle beach? Then relax with a mouth-watering ice cream or steamy fresh coffee from the cafe. The world’s biggest equestrian stars will descend upon the Isle of Wight this July to compete in an equestrian triathlon like no other. This new, compact format will prove an interesting test for athletes as they race, battle and compete for glory across two thrilling days of eventing, culminating in a gripping cross country finale. Featuring Olympic heroes, up-and-coming talent and legends of the sport, the programme of events is set to be one to remember. Create memories to last a lifetime and enjoy Osborne in style in the exclusive Members Lounge. Upgrade your event experience and receive access to the historic terraces, created by Prince Albert himself, as well as a prime view of all the arenas. Catch the action from the best seats in the house in the Members Lounge. 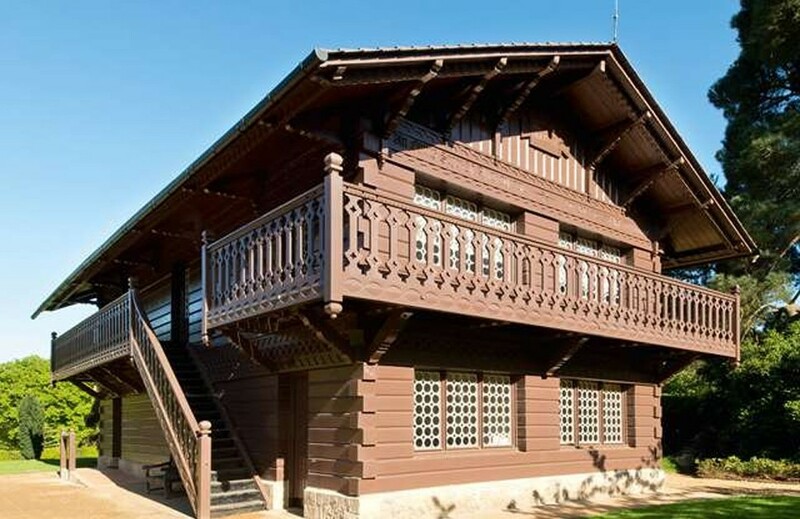 Explore the world of the Victorian royal children with a visit to Swiss Cottage. Generously funded by several donors, including the Heritage Lottery Fund, visitors can discover the interests and personalities of each of the nine princes and princesses in the ‘Childhood at Osborne’ exhibition - a must-see for those visiting the island for the first time. Play where the royal children played, and step back in time to 1861 as Queen Victoria and Prince Albert join their offspring for afternoon tea. Spectators also have the chance to see fascinating objects from around the world in the museum, wander in between the royal children’s vegetable plots, and enjoy a wildlife trail on their way to the beach. 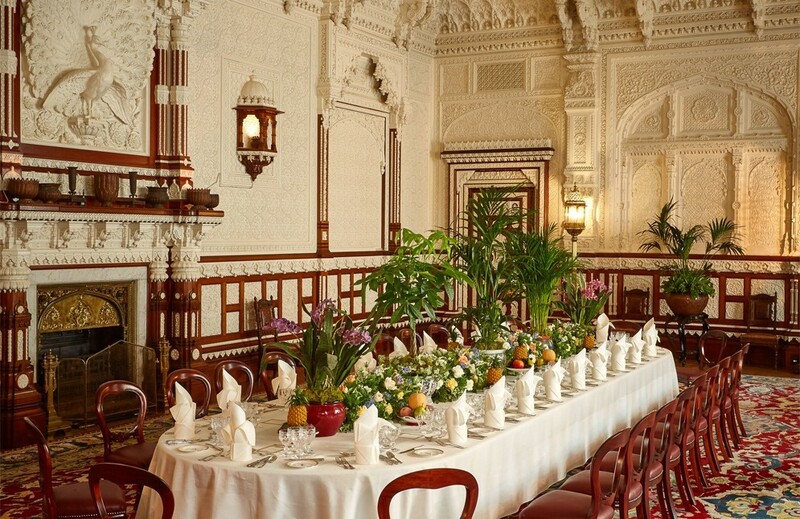 Step into the sumptuous State Rooms of Queen Victoria at Osborne, where she regularly entertained important guests from around the world. Osborne was built specifically for the Queen of England and her husband Prince Albert, and its architecture and furnishings reflect their passions, taste and style. Heads of States, inventors, princes and princesses all walked the opulent corridors of this astonishing building, when Osborne was at the centre of a vast British Empire. The time-warp atmosphere of the residence makes it an excellent and wildly popular location for filming period pieces, and it was most recently featured in the critically acclaimed film Victoria & Abdul. You can feel a real sense of history as you wander the rooms of Osborne House. On arrival in East Cowes, Osborne is just 5 minutes away if you have a vehicle. If travelling as a foot passenger you can either walk (15 mins), pre-book a taxi or catch the frequent Service 4 or 5 bus from outside the Waitrose supermarket. The bus stops right outside the entrance to Osborne. 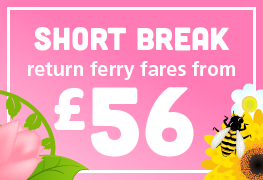 £9.95 Adult or £4.95 Child foot passenger return, valid for travel on 25 or 26 July 2018. 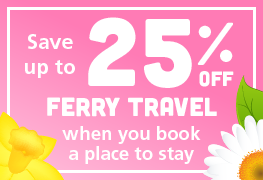 Valid for any sailing between Southampton and East Cowes only. Carriage is subject to availability and is on a first come first served basis. Note: It is not possible to pre-book specific sailing times with these tickets.